Around 100 employees of the Express group took out a rally in the Ambattur Industrial Estate to raise awareness about the importance of voting. CHENNAI: The New Indian Express' 'Every Vote Matters' Campaign came to an end on Monday after 10 days of urging people across the Chennai to cast their vote in the upcoming parliamentary elections. 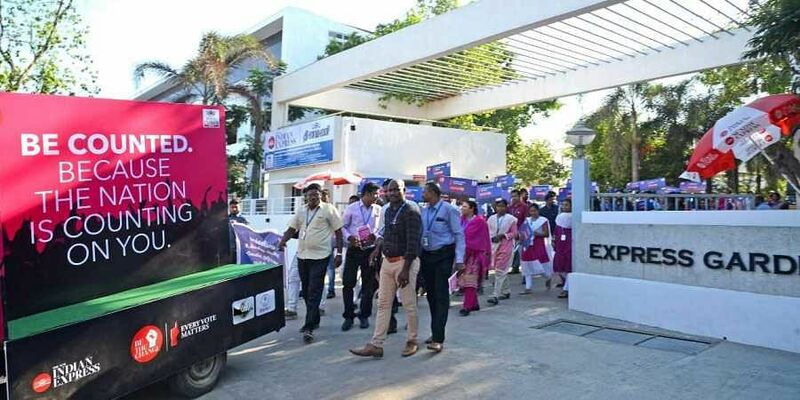 Around 100 employees of the Express group took out a rally in the Ambattur Industrial Estate to raise awareness about the importance of voting. Using placards and banners, Express employees caught the attention of blue collar workers of the industrial zone. Flyers emphasising how voting strengthens democracy were handed out to onlookers. "I am leaving to Madhya Pradesh with my husband tomorrow to vote in the parliamentary polls," said Prema Bai, a juice shop owner in the Estate. Prema has been living in the locality for the last three years. Stating that her family would continue to live in Chennai, she said she would soon register to vote in the city. "Next elections we will vote in Chennai," Prema Bai said. S Kalaiselvi, another shop owner in the locality, insisted on voting in her native constituency of Madurai despite living in Chennai for over 30 years. "We belong to Madurai. It is our native place. How can we vote here?" she argued. Some people, however, do not have the luxury of going to their native places to vote. "My company did not give me leave to go vote in Hyderabad," said M Prasad, an industrial worker in the Estate. Sixty-year-old Mohammed Ali Jinnah, who owns a pipe shop in Ambattur Industrial Estate, lauded the Express group for taking up the campaign. "I have voted in every election since I turned 18," he beamed with pride, claiming that youngsters should only be encouraged to vote the first time. "Then it will become an addiction," said an employee. The two Express campaign vans have covered the entire city over the last 10 days, even venturing into the suburbs to encourage first-time voters to take part in this dance of democracy.